All Hallows Eve is upon us. That amazing time of year when you can hang a bloody skeleton from a flag poll, and everyone goes about their day like nothing is out of the ordinary. Aside from trying to scare the happiness out of every child on your block, Halloween has quickly turned into a cash cow. 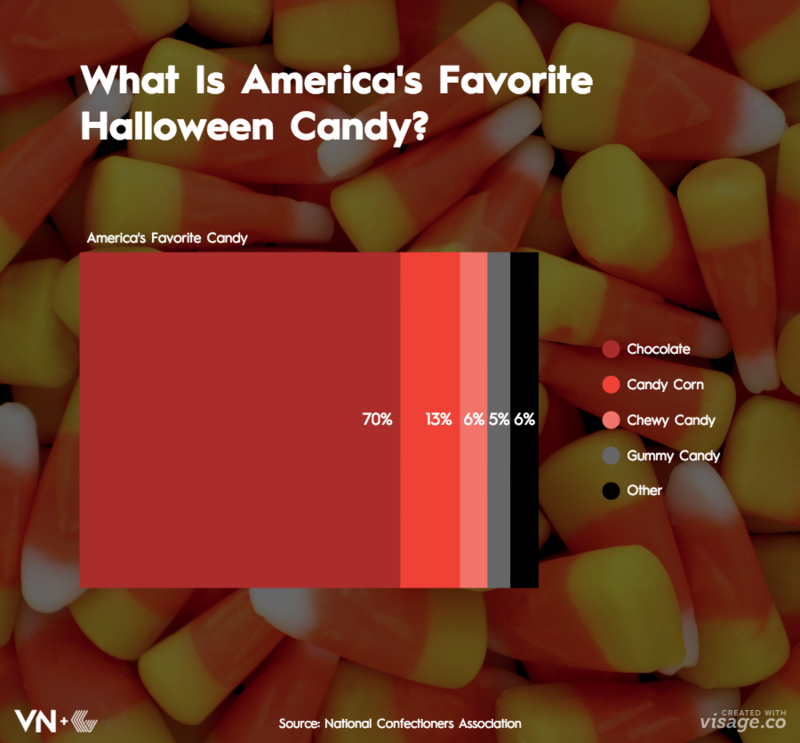 As Max from Hocus Pocus would say, “Everyone here knows Halloween was invented by the candy companies; it’s a conspiracy.” Skeptical Max may be on to something here. 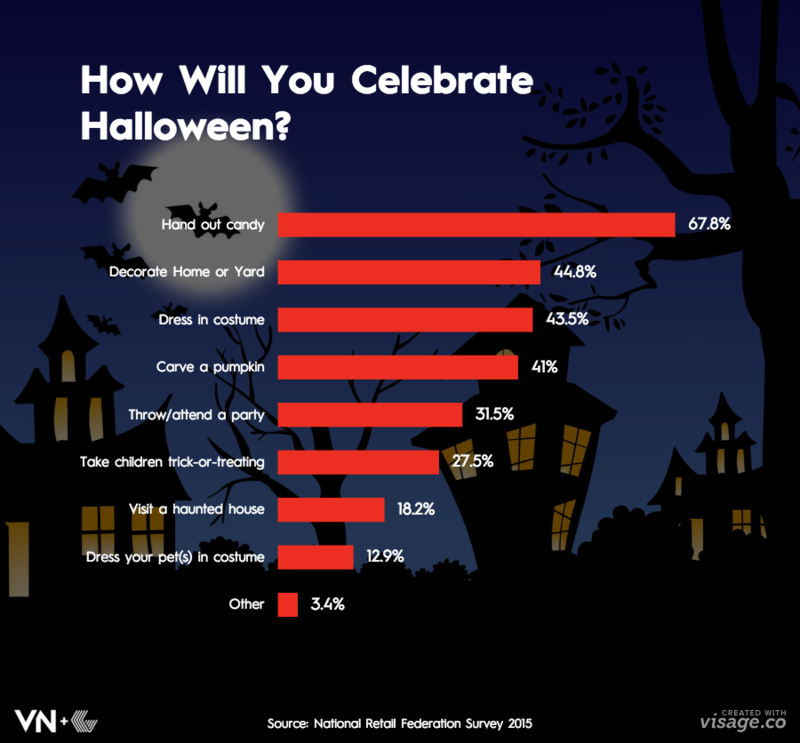 The average consumer will spend more than $100 on Halloween this year. 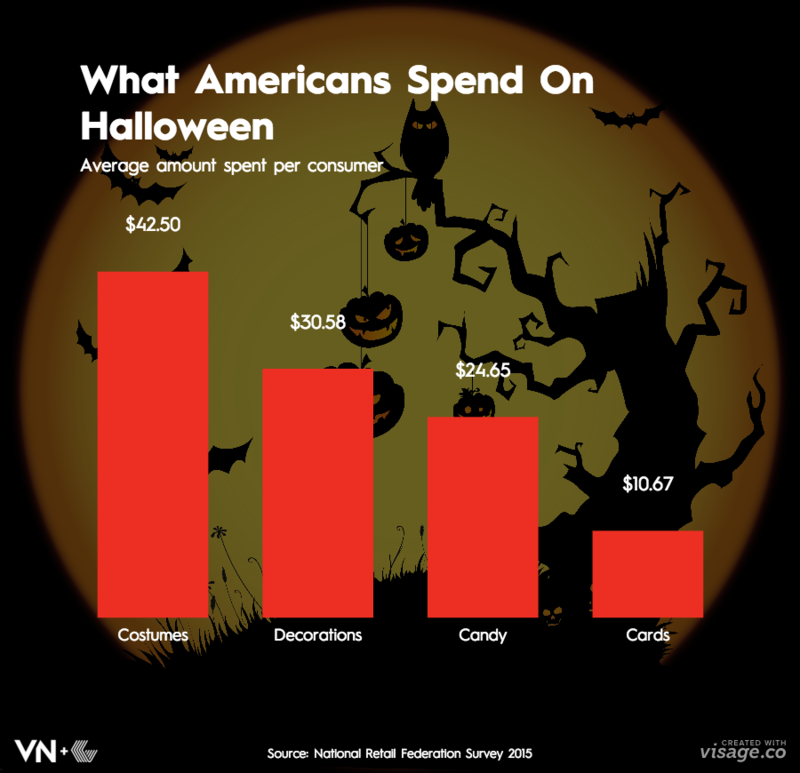 Of that $100, the average American will spend about $40 on a costume. Ghost costumes have evolved from a white bed sheet with a couple eye holes to Steven Spielberg-esque CGI tricks with attachable smoke machines. 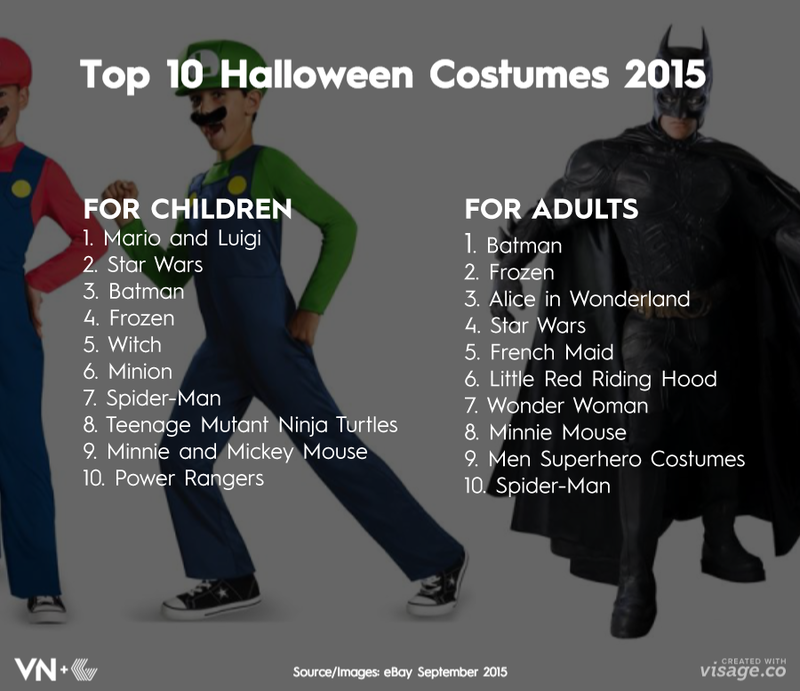 For a solid evolution of the Halloween costume, check out our Most Popular Halloween Costumes infographic. 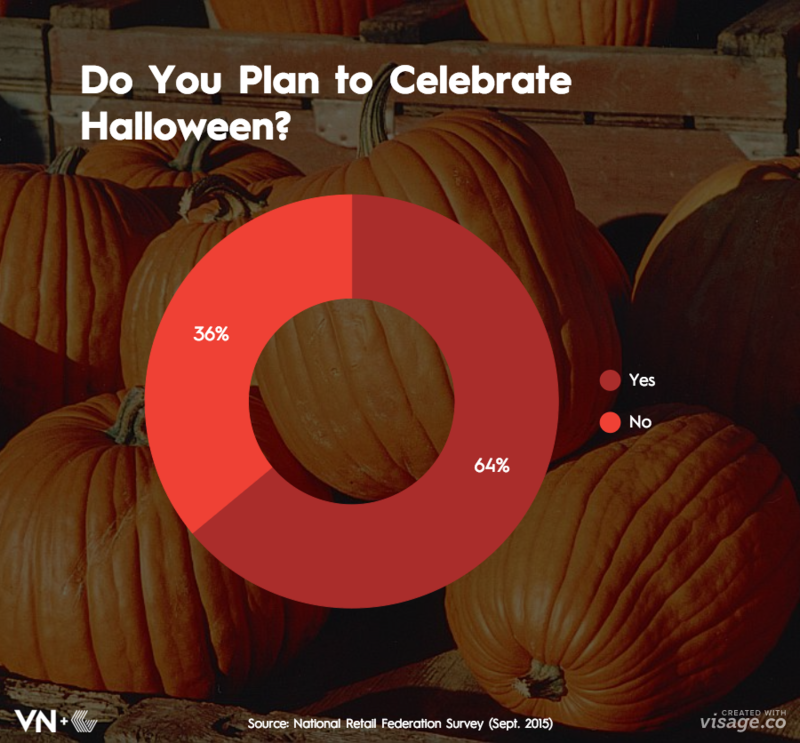 Take a look at the 5 charts below for some new perspective on our favorite spooky holiday.